Why are Michigan Tech graduates sought after? Classes taught by experts, which include practical academic work that prepares you for industry; our reputation doesn’t hurt either. Build steel bridges, concrete canoes, and a career in a program ranked No. 30 out of 209 programs nationwide. As a kid, did you love nothing more than to build masterpieces with Legos and building blocks? If so, civil engineering just may be your crazy-smart calling. Michigan Tech’s program is perfect for students who want to learn how to plan, design, build, and manage the facilities that are essential to society. You’ll earn your degree by doing extensive hands-on lab work with state-of-the-art equipment—we feature some of the best in the nation. Work with indigenous communities. Design river crossings and water systems. Experiment with civil engineering materials and advanced technologies in the pilot-scale environmental simulation lab. Participating in the innovative Rail Transportation Program where you’ll take a five-week railroad course, including three weeks in Finland. 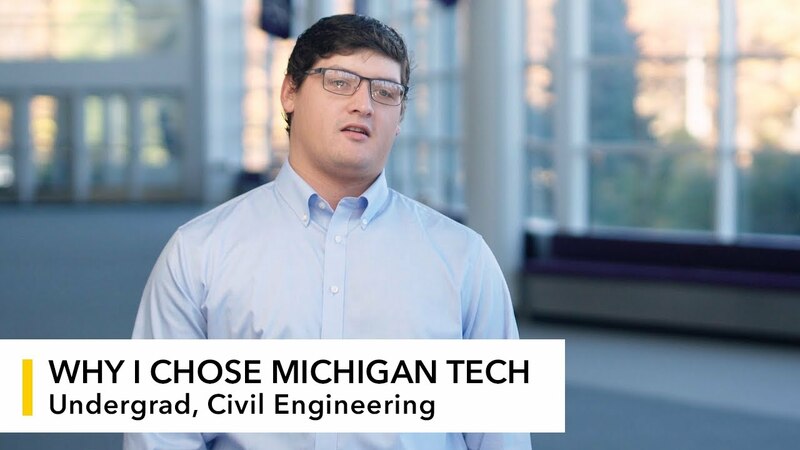 Learn more about civil engineering at Michigan Tech and follow our blog!